Employer branding is the process of promoting a company or organization as the employer of choice to a target group that the company wants to recruit or retain. Essentially, employer branding is what makes people want to work for your company. Your reputation as an employer can be the key to bringing in new talent. Consider a company like Warby Parker, where top talent are clamoring to join the team. If you are interested in learning more about how you can improve your employer branding, keep reading below. There, we have listed the most useful tips that can help you make your company shine. Social media is more important than ever when it comes to creating a connection with customers, clients and even possible employees. By crafting active and engaging social media profiles, you can definitely improve your employer branding. People want access to your company to see what you care about and how it operates. You can give them this insight by maintaining a Twitter profile or Facebook page that creates and shares content that is meaningful to your organization. If you really want to make employer branding a priority, you should develop metrics to use. These metrics will help you assess and track employer brand success. This is the absolute best way to improve employer branding alongside a great training plan. These metrics can include things like employee referrals, employee satisfaction, quality of hire and brand awareness. Or, you can develop your own unique employer branding metrics. Whichever works for you. Either way, this is the most effective way to measure employer branding effectiveness to improve employee retention. Alongside social media, it is important to start a conversation with your potential employees. A great way to do this is by posing questions about your industry, bringing up relevant current events or finding other ways to reach out to your audience. Having an active social media page is good, but it is even better to have one that invites feedback from others. This is the best way to form an executive team you can be proud of. 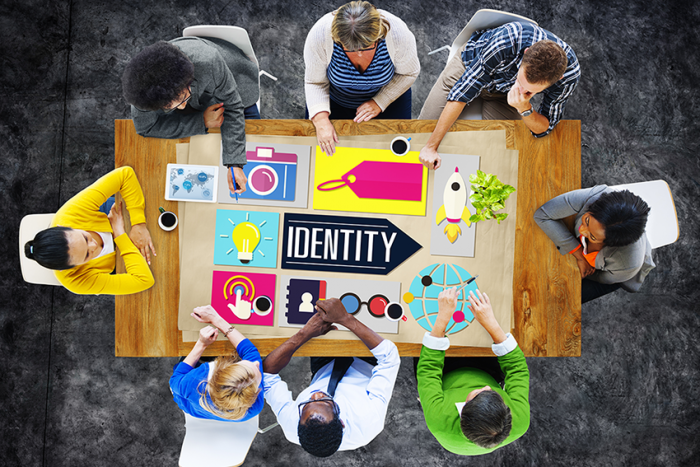 Making your company more personable can be an excellent tool in employer branding. Sharing the stories of your best and brightest employees is a great way to get people interested in your company. There are hundreds of ways for you to help promote their stories. Whether it be through video, an employee blog or even simple Facebook posts, people will love to learn more about the people who are truly succeeding within your organization. This is a highly effective way to attract talent with employer branding. If you provide good and trusted employees with an outlet to share their love for your business, you are guaranteed to bring in new talent. Improving your company culture can have many benefits when it comes to recruitment, but it can also have an even great impact on retention. Keeping your current employees happy is the best way to improve your organization’s employer branding. Whether this means changing your employee tracking processes or getting ride of them all together, a great company culture is the best employer branding. Simply by reviewing your mission statement, taking input from employees or promoting a friendlier office space you can draw in potential employees while also keeping your current ones. One of the best ways to take on employer branding is to first consider who makes up your target market. Are you looking to hire newly graduated students or more seasoned professionals? Are you interested in hiring employers who will work remotely or who will come into the office every day? Identifying what your ideal candidate looks like will be a great help in crafting your image to catch their attention. Depending on the size of your company, you already have a great network for social recruiting. Even for very small businesses trying to brand themselves, a few people usually know plenty of other talented individuals. Try to reach out to your existing human networks. These connections will elevate your company’s brand by making legitimate referrals. Be sure to reward your team for bringing new people on board. If you need to recruit and retain employees for your organization, employer branding is an important step. There are many ways that you can improve your company’s reputation. Consider conducting an employee survey to secure an idea of areas in need of improvement. Remember these five tips above and you are guaranteed to make your organization a desirable one to work for.